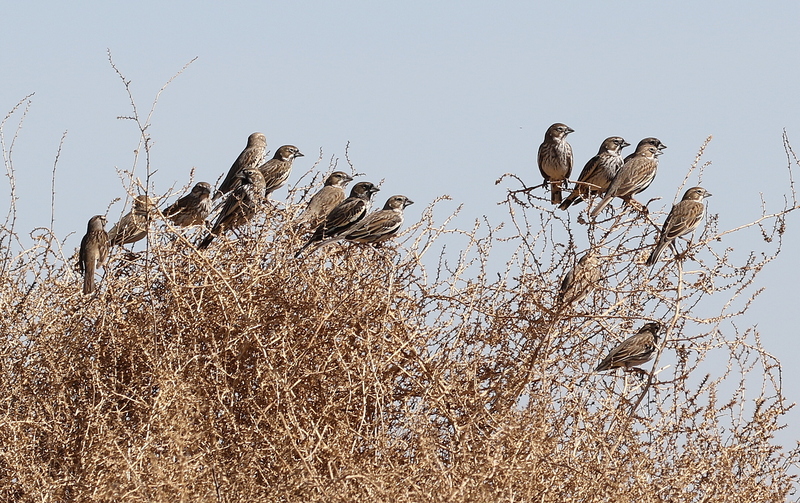 While Ferruginous Hawks and Mountain Plovers seemed to have left, a single Sprague’s Pipit, many McCown’s Longspurs and lots of Lark Buntings are still around. 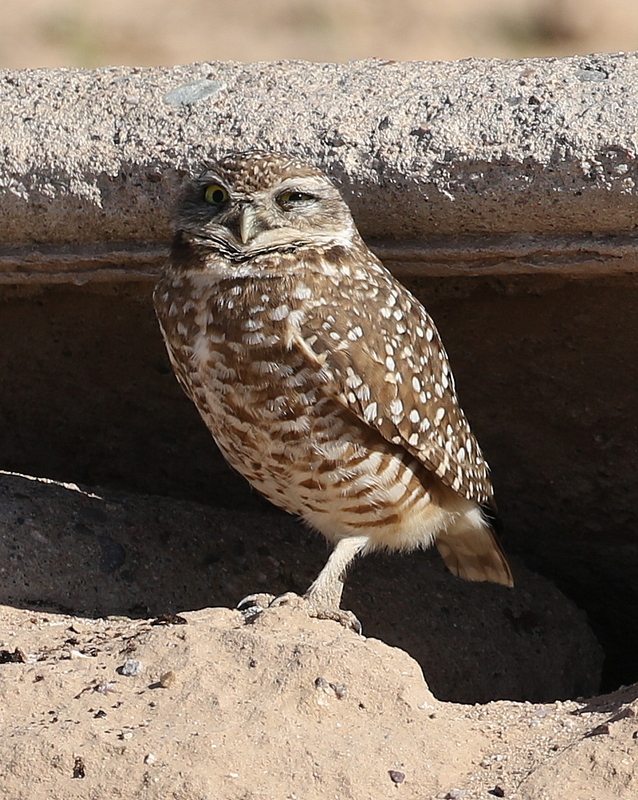 A Burrowing Owl near Pretzer & Tweedy, guarding the burrow. 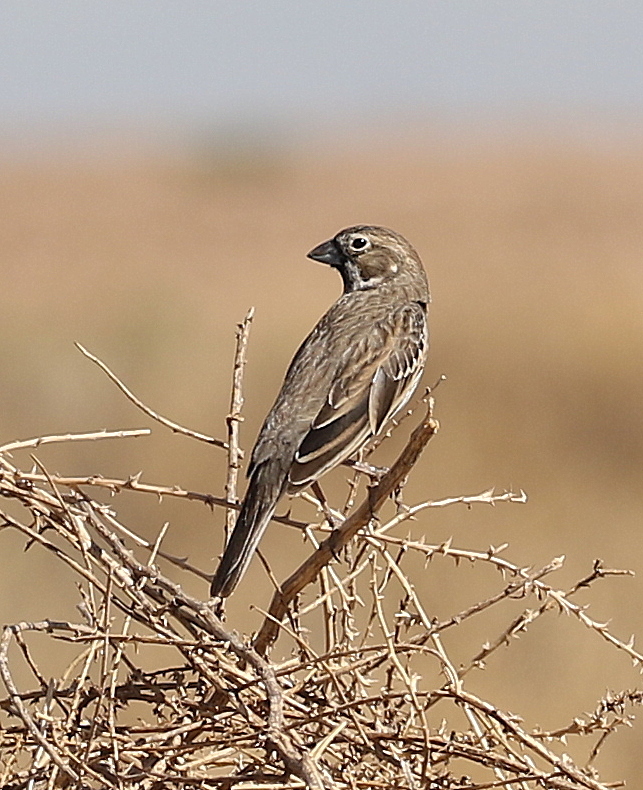 It’s always a pleasure to see Lark Buntings, especially when they are molting into their fancy plumage. 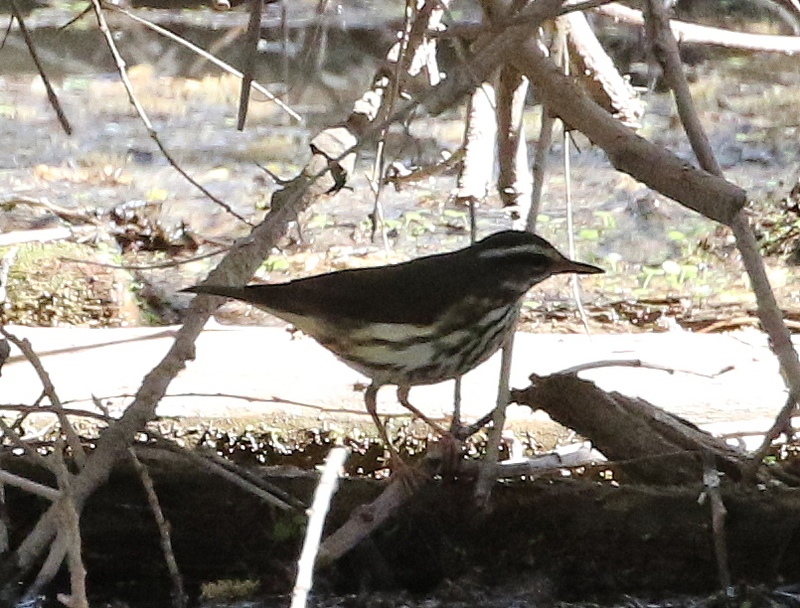 The Louisiana Waterthrush at Sacso Rd & Santa Cruz River is still around. 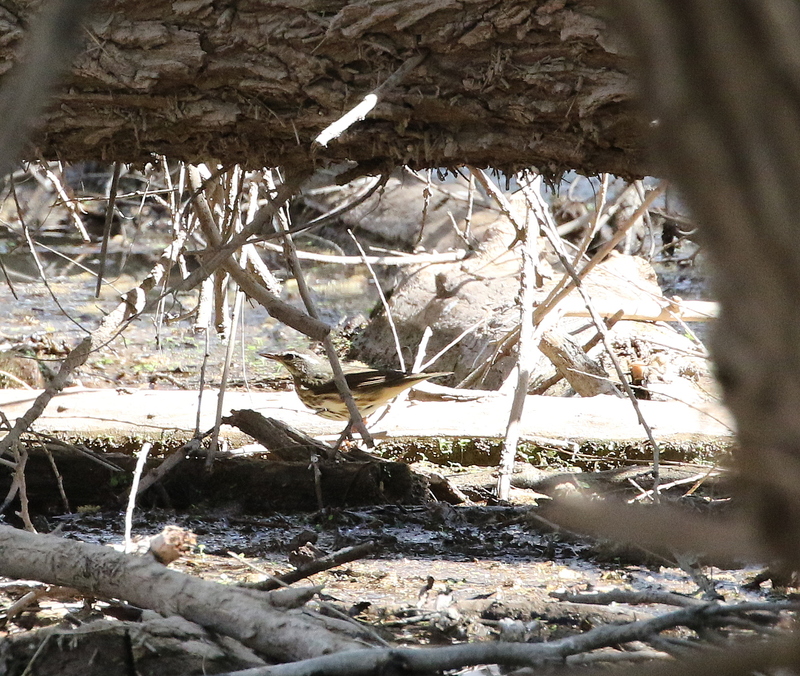 Eagle-eyed Ken Blankenship re-found the bird immediately and got me on it. These pictures look pretty crummy, but are in fact mindbogglingly amazing as I was some 30yds away and the contrast was bad.